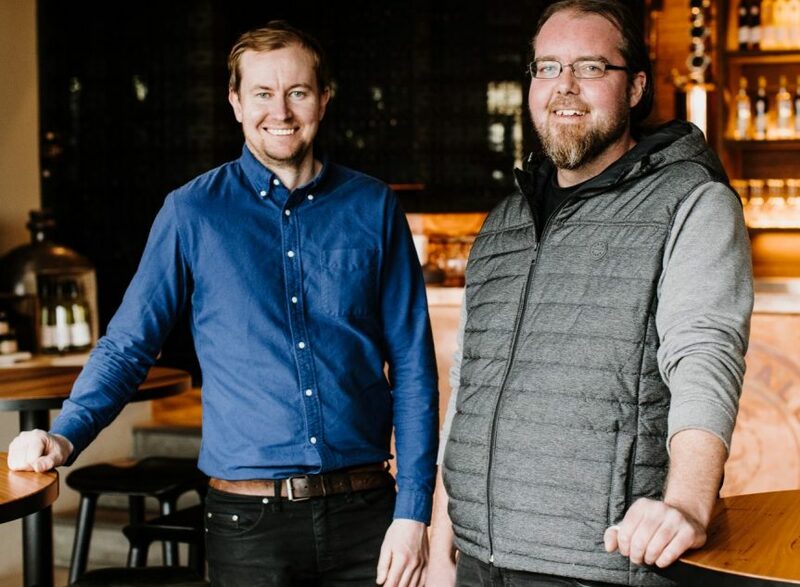 Nathan Rigby (right: Master of the Distillery) and Paul Gurry (left: Product Manager and face behind the Cellar Door bar) are witty, real and more importantly know their fair share about liqueur and grappa. We sat down with them for a chat, check out what they had to say. 1.Why did you make the move to Distilling? Nathan: The move to distillation was inevitable for me. Initially, I was interested in the craft beer industry however the science of distilling intrigued me more and my degree in Applied Chemistry made the transition easy. When I heard about John’s wild idea to set up a dedicated Grappa distillery, I immediately wanted to be part of it. The balance of art and science that distilling Grappa demands perfectly suits my personality and skill set. I haven’t looked back since. Paul: I was in sales at CUB before this, so I’ve been in the alcohol industry for a while now. I spent a big chunk off last year on a working holiday at wineries across Italy, France and Spain – which was just as terrible as it sounds. When I found out about a Grappa distillery in Warrandyte, I had to check it out and the rest is history. 3.Why are you passionate about liqueur? Paul: Living in Melbourne it’s impossible not to be passionate about booze. There is always a new place to check out, new liqueur to taste, new cocktail to make. The industry is so innovative and exciting right now, it is very easy to be swept up in it. 4.If you could distil anything, what would it be? 5.How do you like to spend your day off? Nathan: What is this “day off” you speak of? Ha! Paul: I grew up in St Andrews just outside the Yarra Valley, so I love getting back out there. Spending time in cellar doors, breweries and distilleries. If I am at home in Melbourne for the weekend, then it is finding new places to eat out or going to market and cooking for friends. Hmm so yeah…it really revolves around eating and drinking! 6.What’s your favourite knock-off drink? Paul: It changes often but right now a Grappa Sour is hard to beat. Nathan: I had an amazing Bourbon Barrel Aged Porter (beer) a few weeks ago so that’s at the top of my list, for now! Generally, I don’t restrict myself to a “favourite” anything. I am always interested in trying something new and different, and Melbourne is a great place to explore that. 7.How would your best mates describe you? Nathan: Taller and more sarcastic than Paul. Want to meet the boys and find out more? Book a distillery tour and tasting.